The Fate of the African Lion: The Bubye Valley Conservancy. Liebigs cattle ranch in Zimbabwe was one of the largest in the Africa. Situated in southwestern Matabeleland, Zimbabwe, it was originally staked out in the then Southern Rhodesian lowveld in the 1930’s by the cattle ranching family of Baron Justus von Liebig, supplier of canned ‘bully beef’ to World War II armies, and the inventor of the Oxo cube. For decades, the Liebigs Ranch cattle competed with the indigenous wildlife for the nourishing ‘sweetveld’ grasses upon which they fattened and thrived. Liebigs even hired professional hunters to rid the area of wild herbivores, at one point paying two shillings and sixpence for every zebra or wildebeest tail turned in. Liebig’s company was succeeded by Lemco and then Unilever, and the ranch continued to raise beef into the late 1980s. Under the Parks and Wildlife Act of 1975, land owners had been given the control and ownership of the wildlife on their properties. The concept of wildlife ranching was born, helped along with ecological studies that indicated that wildlife would generate higher returns than cattle in these drought-prone areas. Many Lowveld cattle ranchers grouped together with their neighbours to form vast wildlife conservancies, removing their boundary fences, allowing the natural habitat to bounce back and re-stocking the land with indigenous animals. 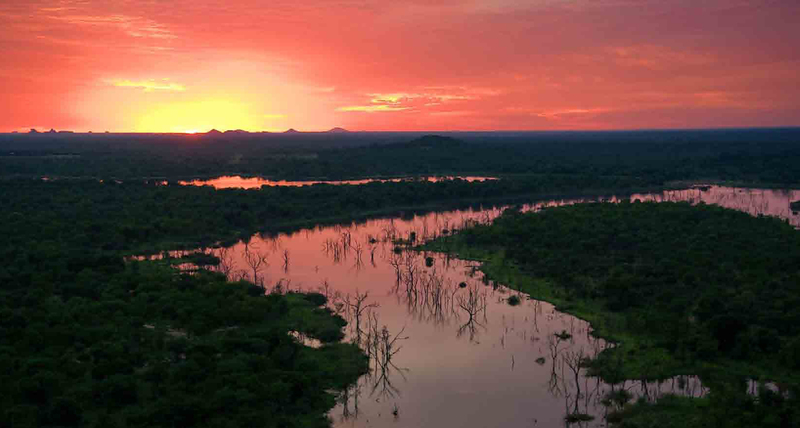 Several famous Conservancies were formed such as the Save Valley, Chiredzi River and the Bubiana Conservancy, which was specifically dedicated to rhino conservation. In the 1990‘s, after a series of devastating droughts, the vast Lemco ranch was put up for sale and purchased by a consortium of investors. The property was re-named after the Bubye river, which ran through it, and converted into a wildlife reserve, sustained by profits to be generated from venison and sport hunting. This 30-minute video tracks the history of the Bubye Valley Conservancy and the importance of sport-hunting, lion in particular, to it’s continuing existence. Bubye Valley Vimeo from The Conservation Imperative on Vimeo.